Shelby is a native of Madison County, Arkansas and serves as the State Geographic Information Officer of Arkansas. He directs the Arkansas GIS Office and reports directly to the Governor. He previously worked as a Research Specialist at the Center for Advanced Spatial Technologies at the University of Arkansas. He has over 20 years of experience in Geographic Information Systems (GIS). He has served several leadership roles in Arkansas and was instrumental in organizing the State Land Information Board which was later renamed the State GIS Board. Shelby is responsible for assisting the State GIS Board in building a coordinated GIS system to meet the needs of the people of Arkansas. Shelby has been nationally recognized through serving on the National States Geographic Information Council (NSGIC) Board of Directors from 2001 to 2005. In 2001 he was selected to participate in the prestigious LeadAR program that grooms outstanding adults in Arkansas for future leadership roles. He was selected to serve on a research committee of the National Academy of Science developing a national vision for a landownership database of the United States. In 2007 he was honored with a Life Time Achievement Award by the Arkansas GIS Users Forum for his contribution to the GIS community, and in 2014 Shelby was elected as the NSGIC President. 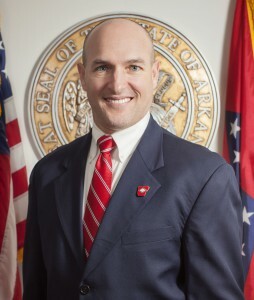 He holds a Bachelor of Arts degree in Geography from the University of Arkansas. Shelby, wife Belinda and their son Luke live in Little Rock, Arkansas. In his spare time, Shelby loves riding bicycles and motorcycles, and kayaking.